Trio’s sophomore album Tadpoles was recorded on their Vapaat Äänet tour spring 2016 and was released by Pori-based Karkia Mistika Records on November 2016. 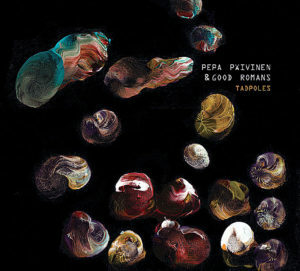 Pertti “Pepa” Päivinen and Good Romans began their collaboration in 2008. Their no-bass trio adventures boldly in the field of free jazz improvising and exploiting electronics to widen their sound palette.